Norton by Symantec provides complete protection for up to 10 devices, with top-notch features that range from malware protection to automatic photo backup. Don't like reading? Watch our Norton video review instead! Norton is one of the best-known brands in antivirus protection - and for good reason. It is consistently ranked as the best consumer-security software in terms of overall virus protection and performance, as measured by detection rates and speed. Each of Norton's three packages are guaranteed to provide better identity protection and cover any of your PCs, Macs, smartphones or tablets. It's simple to setup and install, includes easy-to-use programs and provides friendly and helpful customer support if you ever run into any problems. Norton Security for One Device - Defends against online threats and includes: full antivirus protection, firewall protection, online identity and financial protection, email and spam blocking, password manager and PC optimisation tools for a single computer or device. 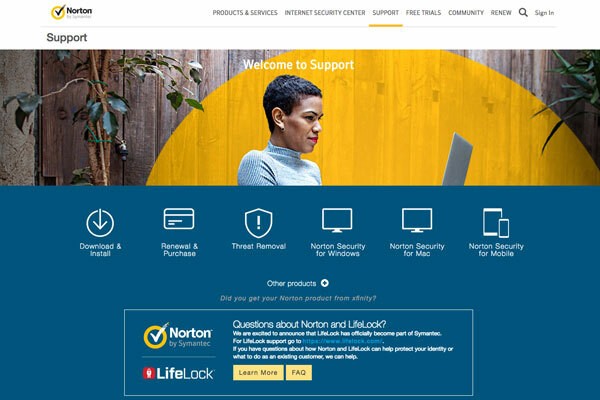 Norton Security - Includes Web portal to manage all of your devices, as well as: full antivirus protection, firewall protection, online identity and financial protection, email and spam blocking, password manager and PC optimisation tools for up to 5 computers or devices. 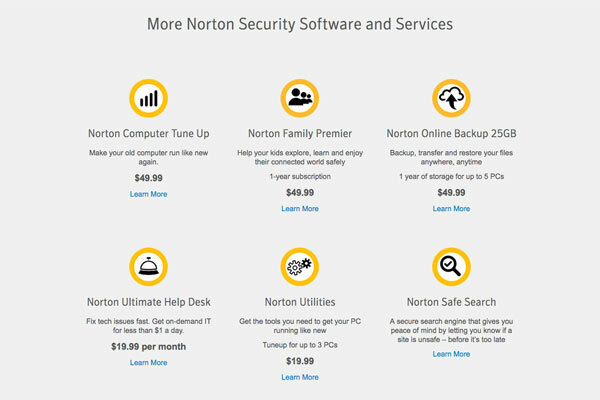 Norton Security with Backup - Includes Web portal with a full suite of family protection features, as well as: full antivirus protection, firewall protection, identity and financial protection, parental controls, email and spam blocking, password manager, PC optimisation tools and 25 GB online backup storage for up to 10 computers or devices. Norton Security's antivirus software is competitive with other top providers such as Kaspersky and McAfee as one of the easiest antivirus software packages to use. Users can quickly determine the security and vulnerability of their device at a glance. With just a few clicks, users can perform quick scans, full scans, backups or performance optimisations of their system. The software has a very quick installation that walks users through the software features as it installs. Fast installation and a smaller application size, however, do not offset the average performance and detection rates that of Norton Security compared to its competitors. Its dashboard also allows users to easily run antivirus scans, updates, identity theft settings, online backups, and PC tune ups. The dashboard is clean, easy to read and intuitive. Depending on the package, the Web portal makes it even easier to protect all of your devices from one location, and all with a single subscription. Parental controls and family safety features are quite possibly the software's best aspect. Users can be configured from a website dashboard with various restrictions and those restrictions are automatically enforced on all of the user's devices. It also has integrated reporting for giving valuable feedback to parents taking an active interest in protecting their children. Parents can then making new restrictions based upon their child's usage behaviours. Among the best antivirus software providers, Symantec offers average protection at very competitive prices. 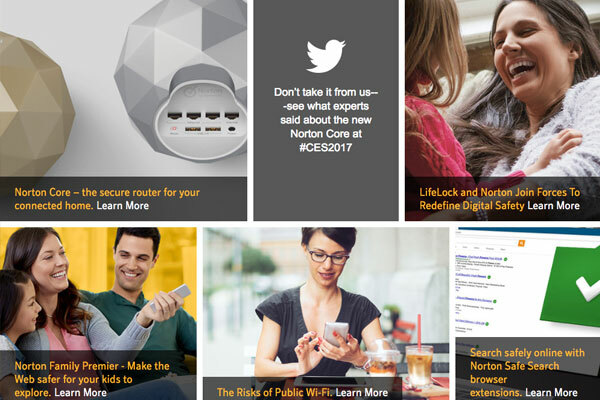 Symantec's products (like Norton) are an excellent choice for users interested in an easy-to-use software package with average detection rates and extremely powerful parental control features. One great value added of Norton Security is the 60-day money back guarantee - no questions asked. In addition to the 60-day money back guarantee, Symantec also offers a Virus Protection Promise. If a security expert is unable to remove a virus using a specific product you will get 100% of your money back. Like its competitors, Symantec Corporation provides customers with many support options. The website’s support center includes a knowledge base with articles, videos, downloads and FAQs. Users can use Symantec's online chat, email or purchase various support packages. There are local offices all over the world, so no matter where you are, you will find someone who speaks your language. If you want to learn how to use Symantec products more effectively, a variety of of education services are available on the official Symantec website. Users can request a consultation with an expert, sign up for instructor-led or private training sessions, as well as access to an in-depth eLibrary. AV-Test, one of the industry’s most respected independent testers, has consistently reported that Norton is one of the easiest to use antivirus products, for both beginners and professionals. Being one of the first brands to market, the interface has been copied by many latecomers to the antivirus party so it may all feel very familiar. 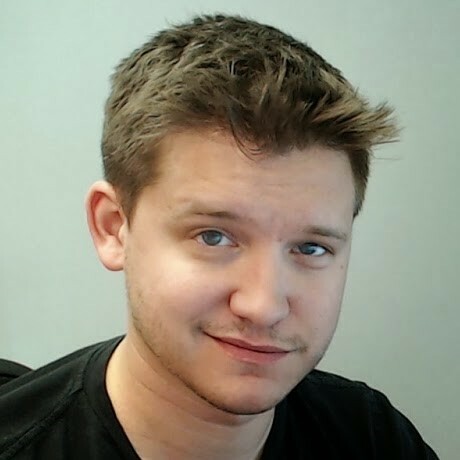 With intelligent scanning and low-resource activity, it can be run on low-spec computers without interruption to user experience and is accessible for all skill levels to use. The features are easy to toggle on or off, and it’s easy to learn how to use extras like backing up files and photos. Norton gives you easy-to-use protection with in-depth parental controls. Depending on the package, Norton Security includes full antivirus protection, firewall protection, identity and financial protection, parental controls, email and spam blocking, password manager, PC optimization tools and 25 GB online backup storage for up to 10 computers or devices. 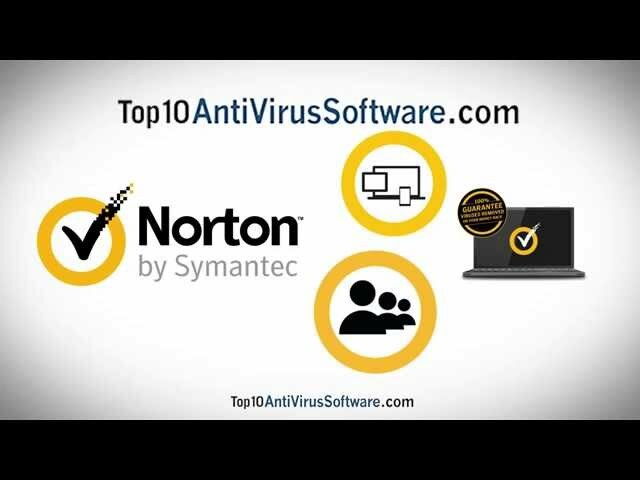 When it comes to virus protection, while the Norton Security's detection rates may leave something to be desired, the solid parental controls and ease of use make it a great choice for users looking for average virus detection coupled with top of the line parental controls for their family. Symantec Corporation is one of the largest pioneers in antivirus protection. The company markets itself as the global leader in next-generation cyber security, continues making Norton security, backup and antivirus software packages including Norton Security for One Device, Norton Security and Norton Security with Backup. Symantec Corporation was founded in 1982 in Sunnyvale, California and is now located in Mountain View, California.